A lot of you may not know this but your stylist is probably getting only 40% of her total sales…..
Let’s just say she makes $1000 per week working commission in a salon where they will take $600 right off the top and by the time she pays taxes etc. she may be lucky to bring home $350 and the more you make the more they take! If your average ticket is $100 per client if you take 5 to 8 clients a day that’s an impressive amount of money. Do you really want to give up 60% of that every day….? Of course not! That’s why I am trying to help the beauty industry change the lives of these beauty professionals. If you have ever thought about owning your own salon or keeping it on a small mini scale I am here to help you make your dreams come true. Halo Salon Studios has changed my life and many other beauty professionals!!! Want to know how I did it let me share my secret with you ……. call or PM me today let’s talk about how Halo Studios can change your life. ? Starting at $250.00 per week, it’s a great location in Suwanee Ga with beautiful, huge studios fully furnished! Please Share if you have an awesome stylist this is an amazing opportunity space is limited!!! Elegance and warmth. Posh and allure. 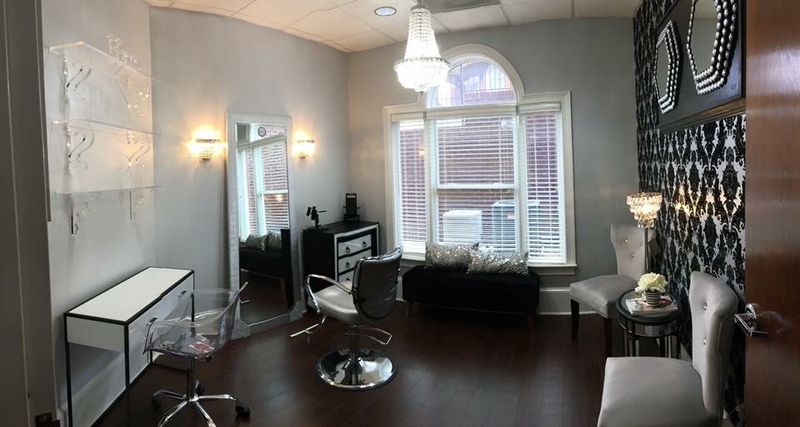 Sparkle and shimmer.Welcome to the world of Halo Salon Studios, where Talent meets Luxury. A feast for the senses.Indulgence in the finest design. Ambience blends flawlessly with warmth, laughter, and personal care.